Some people are happy to sit inside an office and stare at a computer screen all their life… Me however, I don’t think so… I want sun, water, adventure and fun, and I want to be around people that are loving life! If you are keen to get into an industry that has all this and more, then a PADI Dive Internship in Australia will get you there. Australia is the perfect base to start a new career in the diving industry. We have both temperate and warm waters, fresh and salt water sites, shipwrecks and reef, drift and still water dives. With such diverse sites, training within the industry here will ensure you become the most we rounded dive professional you can be. At Abyss Scuba Diving, we have Dive Internships that start every few weeks all throughout the year. You will start your program in Sydney, Australia where you will be met at the airport by our friendly staff and transferred to the accommodation a short stroll from the training facility. You will be introduced to the Australian way of life and meet lots of locals and make so many new friends. Because we are PADI’s only Career Development Centre in Sydney, we have a lot of candidates training towards professional levels, so you will join the crew of training pros when you arrive. You will be mentored by our team of PADI Course Directors, Master Instructors, and IDC Staff Instructors every step of the way. 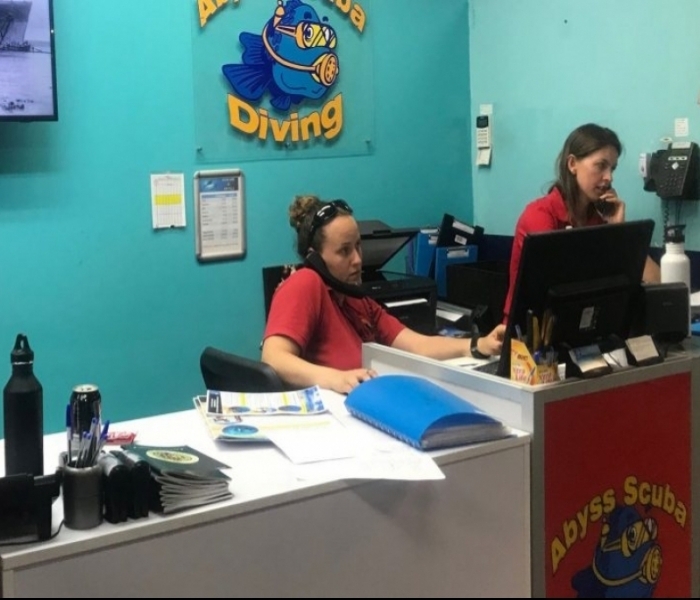 Once you reach professional level, all of our Instructor level Dive Internships in Australiainclude an amazing dive industry experience where you fly to the Great Barrier Reef to live, dive and play. While you are there you will gain experience in boat handling, setup and management of a dive deck on a boat, and also in working in the tourist industry. It will be the some of the best weeks of your life. After your return from the Great Barrier Reef, you will continue with your training program in the career development centre here in Sydney. You will gain experience running a variety of PADI diving courses and activities and get to personally teach and certify at least 25 people! During this experience, our staff Instructors will keep a close eye on you and monitor your progress closely. 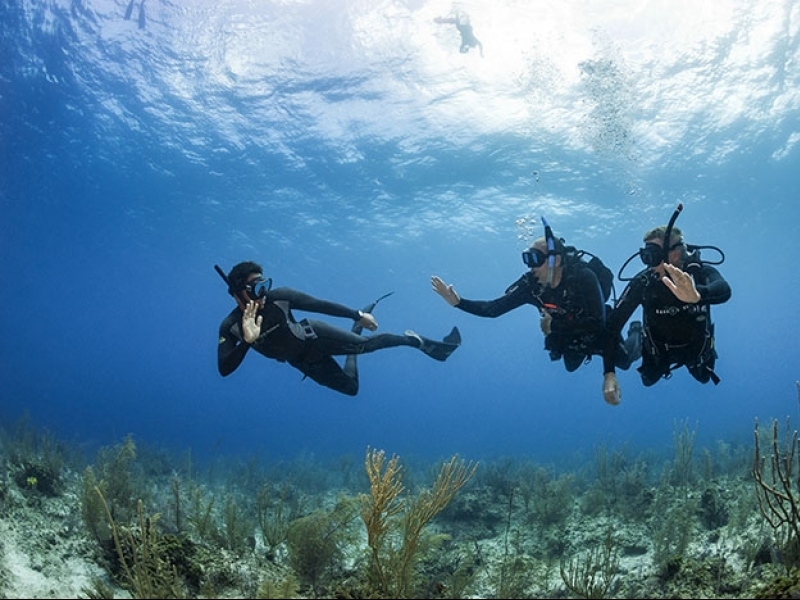 Together with daily brief and debriefing sessions offering you hints and tips to improve, you will rapidly gain confidence as a work ready PADI Instructor. It truly is a rewarding experience. You will love it! Aside of the training, Sydney is sooo much fun! With something on every day of the week, and world class tourist attractions, amazing clubs and bars, and endless adventures to keep you going; you will have the time of your life! The centre of Sydney is just a short 20 minute train ride from the training facility, where you can walk around Sydney harbour and explore the best city in the world! All in all, doing your Dive Internships in Australia will be the best decision you will make. You are guaranteed to have an unforgettable time and you know the quality of the training is going to world class. Andriana came to Abyss as an Advanced Open Water Diver and graduated as a PADI Master Scuba Diver Trainer. She is current working on an island resort located in Fiji, and loving life! Well done Annie! We look forward to seeing you all in Sydney soon to begin your Dive Internships in Australia. The Abyss team hope to go diving with you soon.